At the Goteborg Film Festival in Sweden, they are finding new ways to heighten the experience of movie-going. Their approach, previously unheard of, is viewing inside of a sealed coffin. New technology was developed to equip the coffins with speakers, screens, air vents, and an emergency panic button to make for a unique, intense viewing experience of film Aniara, directed by Pella Kagerman. 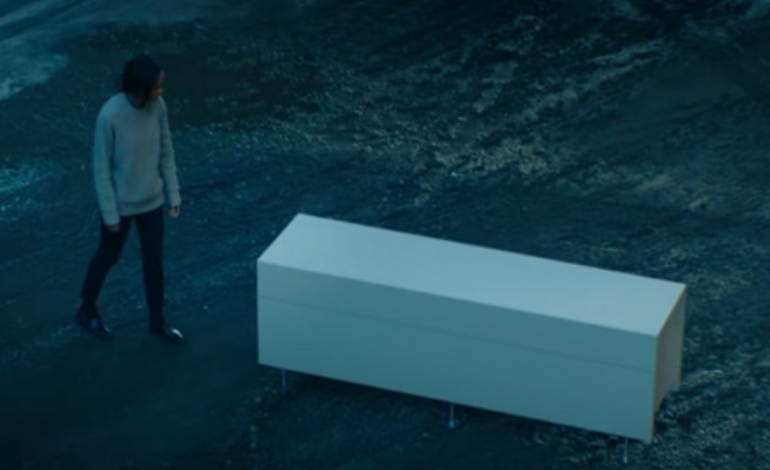 8 volunteers at the screening were placed into these coffins, which were designed by the festival director, Jonas Holmberg, to enhance the feeling of the late-era capitalist dystopian setting of the film. It is a science-fiction drama about a ship carrying consumerist passengers to Mars when it veers off course. Holmberg describes the coffin experience as “a metaphor for Earth, that the future of our planet could be this kind of sarcophagus, floating alone through space as we use up our natural resources” and so aimed to heighten a sense of claustrophobia in the viewer so that the message hits hard. Staff will be on standby for the upcoming 33 screenings with these coffins throughout the month, unsure how viewers will react to the confinement. With VR, IMAX, and special 4D screenings, this is yet another example of innovative ways to immerse the viewer into the film experience and blur the lines between audience and film. Who knows what the future of theatre-going holds, but there are likely going to be many strange experiments like these that test the waters and push the boundaries of how we experience cinema.